In season throughout June and early July, the elderflower is a quintessential British tree found all over the UK. Look for the white clusters of flowers which can be used for infusions and desserts. Sally gives her account of a day picking elderflower. It's that time of year again; the streets are filled with the sweet smell of elderflower as England's roadsides burst into life with that incredible flavour just waiting to be harnessed. I had been totally unaware of this foraging opportunity until it was pointed out to me whilst walking through Chiswick a few years ago. 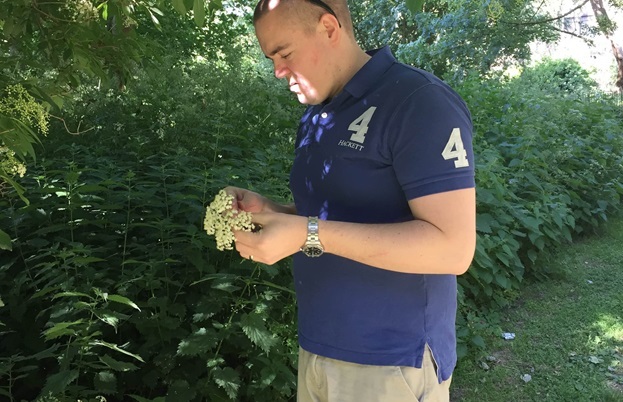 Having only associated elderflower with the sweet cordial available in the supermarkets, I hadn’t realised that we are surrounded by elderflower trees in the UK. Last year I tried, unsuccessfully, to make home-made cordial (failure to sterilise the bottles resulted in mould!) so this year I have made it my mission to explore all possible elderflower-flavoured products. 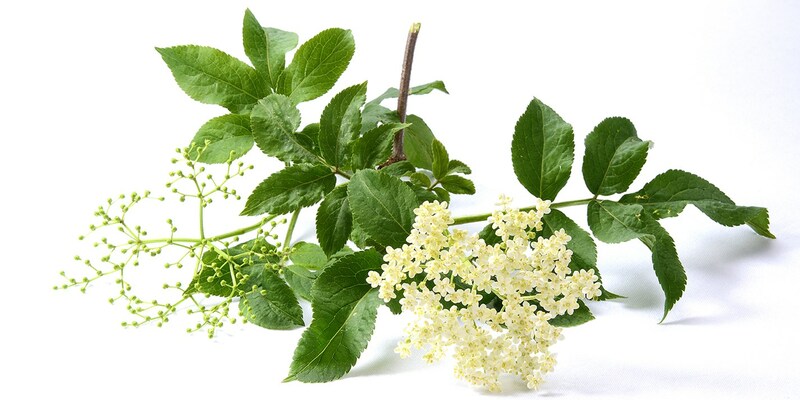 Elderflower has had a bit of a turbulent past in Britain; as it was once thought to be associated with witches, country folk were afraid to cut and burn its branches for fear of being punished by the ‘elder mother’, the guardian of the tree. Having said this, it has also been said to have medicinal properties as far back as Hippocrates who recommended elderflower for purging the body. Elderflower tea is recommended in local folklore for colds and flu and also for the prevention of hay fever. After a somewhat vigorous shaking to relieve the heads of any remaining bugs, my first point of call was to re-attempt the simple but delicious cordial. 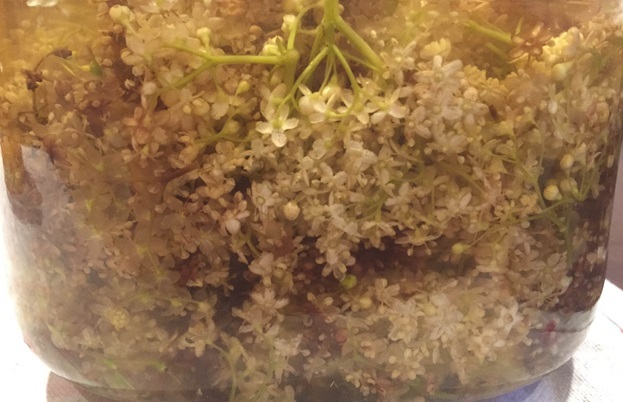 Using a trusty River Cottage recipe, I steeped my elderflower along with lemon zest in boiling water and left it to infuse overnight. The next day, I strained it through a muslin cloth and brought to the boil with sugar, lemon juice and a little citric acid (the citric acid is not compulsory however it does extend the shelf life of the cordial). After skimming off any scum and leaving the liquid to simmer for a few minutes, I then transferred it into sterilised clip top glass bottles. I did learn the hard way that the cordial should be left to cool a little before decanting – the bottom of the first bottle completely blew out, not a mess I would like to clean up again in a hurry! I eventually ended up with 3 litres of cordial ready to be added to desserts and cocktails all summer long. 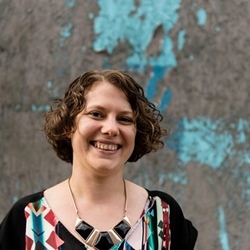 Next, my attention turned to alcohol; as an avid gin drinker, often drinking gin and tonic with a dash of St Germain, a delicious French elderflower liqueur, I thought, why not add the elderflowers directly to the gin? 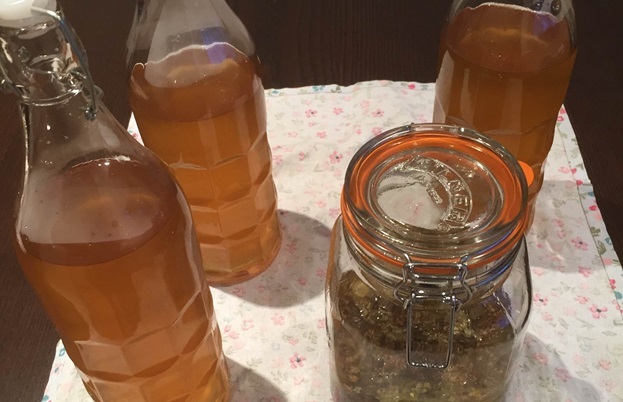 I used 25 heads of elderflower with 4 tablespoons of sugar and 500ml good quality gin (I used Tanqueray –the better quality you put in, the better you get out) and left to steep for a week before bottling. The hardest thing is going to be resisting the temptation to try it before the flavours have fully developed after 30 days. You could also repeat this process with vodka, however, I feel there is something so quintessentially British about gin and elderflower, it is a perfect match. 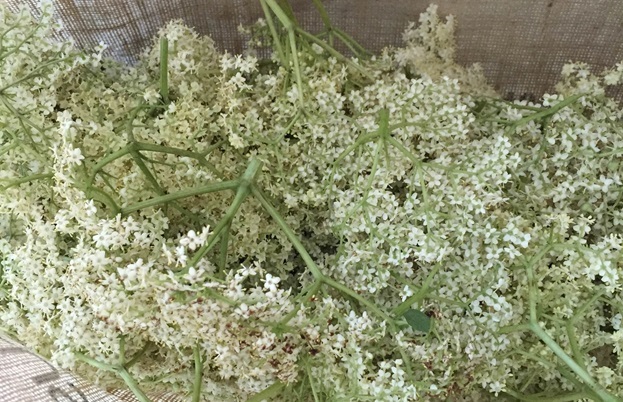 In the coming weeks, I will be gathering as much of this floral delicacy as possible and will be experimenting with elderflower honey and elderflower vinegar next. It seems a shame not to make the most of this abundant free ingredient in the short time it is available, but remember to leave a few heads untouched as without them, there will be no elderberries to pick in the autumn and that will be a whole new adventure of picking, pickling and preserving to come.